Suffice it to say, we are loyal customers. 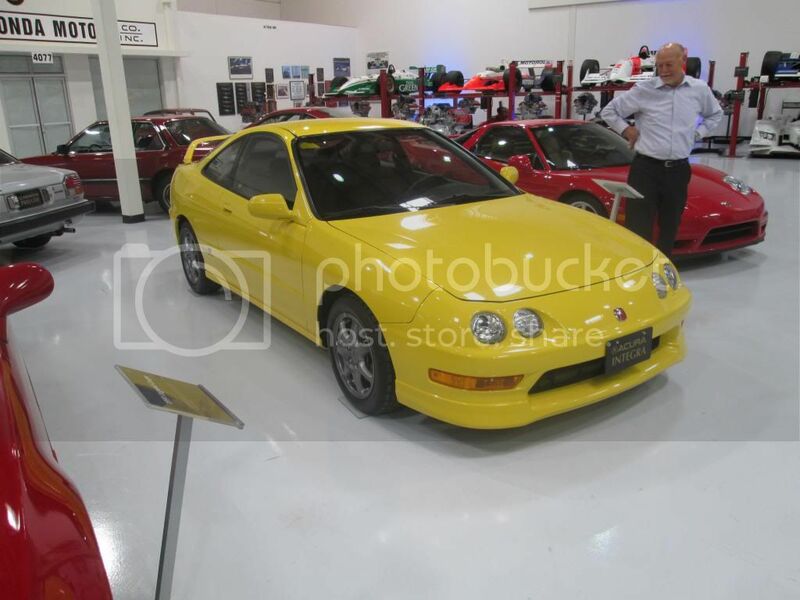 Beginning this year, Acura's social media division began giving tours of the private Honda/Acura car collection in Torrance, CA. In order to become part of the waiting list for tours, fans of the official Acura Facebook page could post a story on the Acura owner's site with the title "My Historic Acura." Being such a huge fan of Honda and Acura products, I jumped on the opportunity as fast as I could. And so, on May 8 of this year, I joined the second group of Honda and Acura enthusiasts in touring this amazing facility. The tour was lead by Dave Heath, senior manager of Honda and Acura's shows and events. 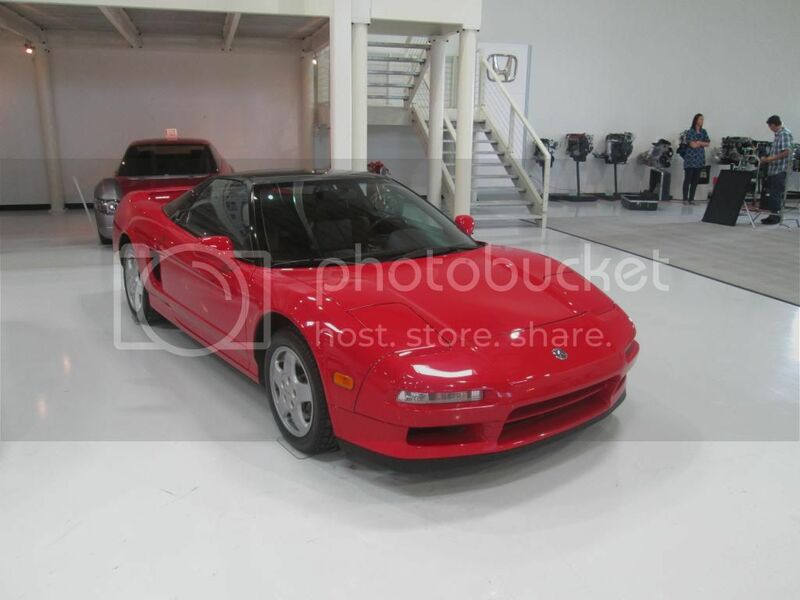 Dave has been with the company for years, witnessing the birth of the Acura brand in 1986, and even being involved with the design of the Acura logo that made its debut on the 1991 Acura NSX. Dave's wealth of knowledge about Honda products both past and present was staggering, and the stories he told us regarding Honda's history were intriguing. Besides his knowledge of Honda and Acura's history, Dave also manages the events Honda and Acura participates in, ranging from various auto shows to the many races that Honda participates in. If you are looking for official Honda presence at a show, Dave is the man you want to see. 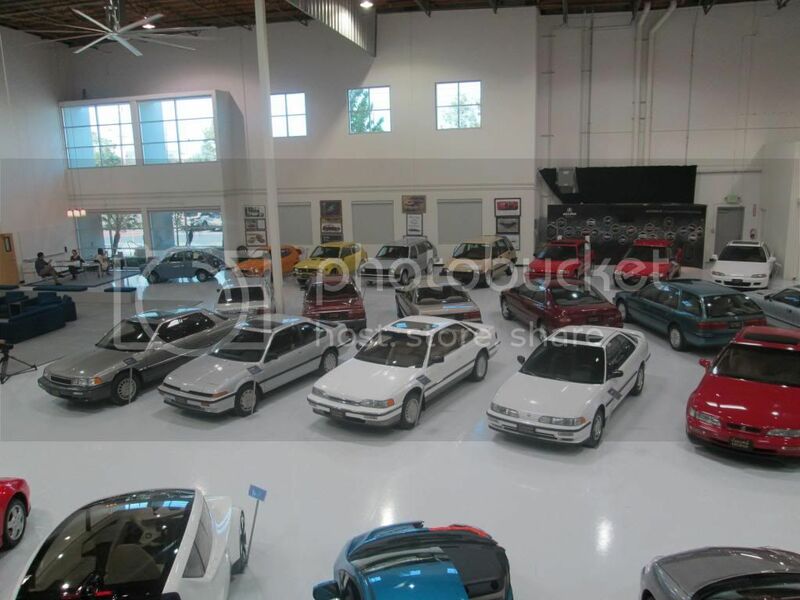 Though the facility itself was not extremely large, it did contain a broad sampling of vehicles deemed important to the growth of the American Honda Motor Company. Dave offered a brief history of each vehicle followed by opportunities to ask questions about the vehicles. 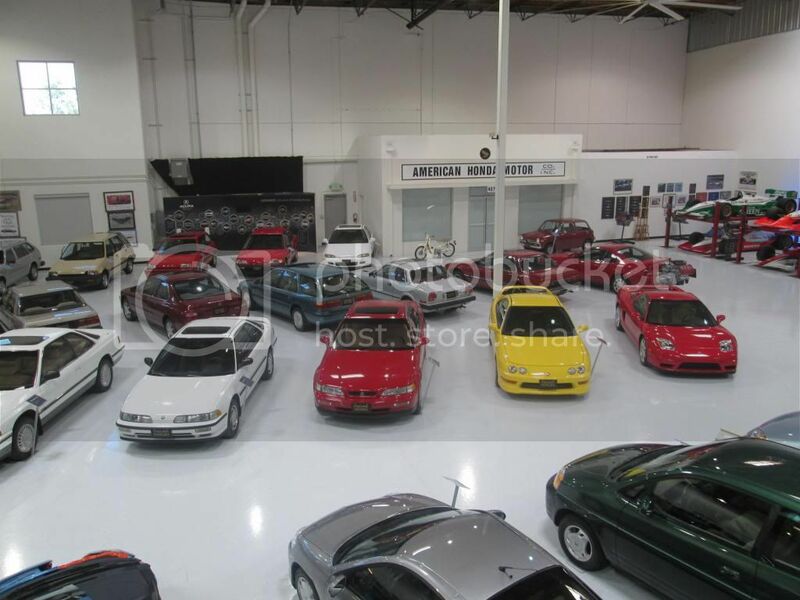 Everything from the very first Honda motorcycle sold in the US and the Honda N600 (the first car Honda sold in America) to the 2005 Acura NSX was on display here. Various race cars were also available for viewing as well. You can view the rest of the album of the tour here. 1.) Both Honda and Acura have had a few missteps as of late, but Honda was able to fix a good majority of them with the 2013 Accord and the refreshed 2013 Civic. Acura, on the other hand, still seems to be lost. What are your views on the current direction Acura is taking? Dave started his response by telling me he could not comment on the future direction of the Acura, which I expected as much. In regards to Acura's current direction, Dave felt that the current crop of changes for the Acura brand, including the introduction of the RLX and the upcoming NSX, pointed Acura in a good direction. Dave also admitted that while Honda was able to fix its missteps quicker, he felt that with the current direction of the Acura brand, Acura would soon be back at the top of its game. Long story short, Dave feels Acura has righted the ship and is currently headed in the right direction. 2.) Do you think Acura still has any aspirations to become a tier-one luxury brand, chasing the likes of Mercedes Benz, BMW, and Lexus? Dave told me that Acura's true purpose was to never compete head on with the tier-one luxury brands, but to offer buyers a "Smart Luxury" brand. What he meant by "Smart Luxury" was to offer luxury cars for buyers who were not only looking for a luxury car, but buyers looking for a better deal and technologically advanced vehicles. Dave felt this was especially true of some of Acura's older vehicles such as the Legend, which competed with the BMW 5-series/Mercedes E-Class. While this contradicts some of the public statements that have been presented to the automotive press before, it is entirely possible that those statements were merely intended to drive brand awareness and not really reflective of corporate strategy. I will give Dave the benefit of the doubt here. 3.) Who do you think Acura's current target audience is? During the tour, Dave had mentioned that the Acura brand was initially created to give Honda buyers looking to move beyond an Accord something to move up to. While this was still their primary audience, Dave also mentioned that Acura's audience also includes people looking for a well built luxury car that includes all of the latest technology, great performance, excellent fuel economy, and does not include the pretentiousness of other luxury brands, emphasizing Acura's "Smart Luxury" approach. 4.) Now for a more general question. Are there any performance vehicles in the likes of the S2000, Type S or Type R vehicles in the pipelines? Dave seemed to get this question quite often as he smiled after I asked it. According the Dave, Honda's plan is to first put a stake down in the performance car realm with the new NSX in 2015. After the NSX makes its debut, the plan is to have other performance vehicles trickle out to the masses. Dave mentions that once the NSX is out and about, there is a very good chance that an S2000 successor as well as proper Type S and Type R vehicles will make their appearances. Overall, I had a fantastic time at the tour. Getting to meet fellow Honda and Acura enthusiasts, getting view all the amazing vehicles, and getting to talk to a Honda/Acura executive were all great experiences. If and when American Honda decides to expand the facility, you can bet I will try to find a way to get a tour of the new facility! Special thanks to Mr. Dave Heath for the great tour and for answering my questions. Also, a special thanks to the Acura Social Media division for organizing the tour.